It’s no secret I think The 100 Season 4 has been uneven. Honestly, that’s kind of how the show rolls, though on the whole Season 2 pretty darn strong. But when The 100 is good, it is very, very (very, very) good and “The Chosen” was excellent. It reminded me strongly of one of the best Battlestar Galactica episodes. Not a specific one, necessarily, but just in general—it was as good as BSG at the top of its game, and I can hardly give any higher praise than that. The struggle in choosing who should survive inside the bunker felt so organic, which is how you arrive at the most gut-wrenching plotlines. It’s something that this show can either hit dead-on or really whiff on. When characters make choices that seem out of character, it works so hard against what the writers are trying to do. But when everything feels organic, The 100 is a show that rivals anything on TV. Case in point, I can’t even begrudge Jaha and the random Arkadian guy for their stupid plan of trying to take the bunker by force, because they are so scared and they are so desperate. As a parent, it’s especially hard not to identify with the man who, deep down, is just terrified at being separated from his baby boy. I’m glad the writers took the show in the direction of Kane talking some sense into Jaha about what a bloodbath it would be if they tried to overrun the Grounders. That’s not how you save anyone. 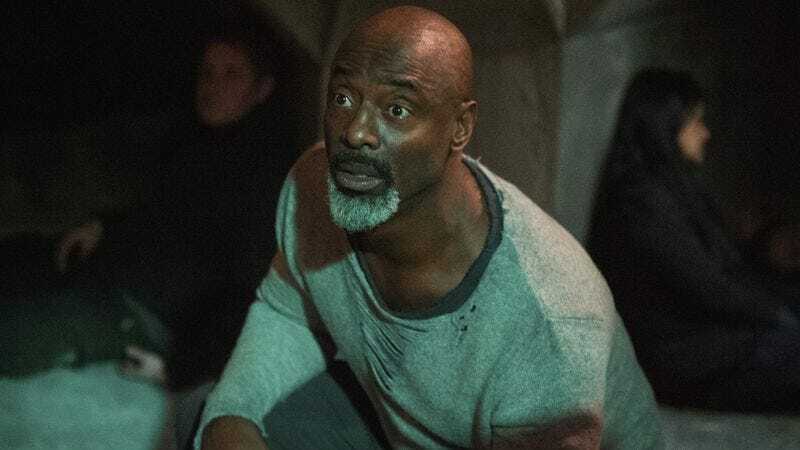 But I completely understand Jaha’s desperation and despair—and this is a character whose choices I have often struggled with, so that’s another mark of an excellent episode. Ultimately, Jaha and Kane make the tough choice of gassing the Arkadians in order to separate the essentials and children from the rest and viewers are treated to a heartrending montage of the Arkadians readying their 100 spots in the bunker. We also can’t forget about how awesome Octavia is in this episode. The way she stands up to Jaha was such a turn from where she was in Season 1, but it is wholly earned because of all she’s been through. I was not wild about the way Lincoln was written off the show, but I do think it was a boon for Octavia’s character. There is room for romance on this show, but it can also become a bit much at times, plus losing him (and in the way he was killed) took Octavia to such an interesting place. She has come into her own in an incredible way, and I can’t wait to see what they do with her next season. She’s as much of a leader as Clarke is and if the show takes a five-year time jump (which is feeling more and more likely at this point), it’ll be interesting to see where she’s at when the show resumes. And finally, props must be given to the way the show is going with the Clarke-Bellamy-Raven crew. I hope this is not a bait-and-switch situation, where next week they somehow decide they can save themselves and they stay on the ground. I love, love, love the idea of the show coming full circle and a bunch of kids who were sent to the ground are now back on the Ark surviving together. It’s too perfect. It also gels nicely with a five-year time jump. Relationships can blossom (kids could be born?!) and then they have to find a way to get back to Earth. So here’s hoping the finale doesn’t muck things up, because I really like this turn of events. The 100 has always been really strong in its season finales, though I’m a bit wary this year because this episode was so stellar. It has me wondering how next week can possibly top it, though I’m excited to find out. Speaking of which, I think this might have edged out the conclave episode for my favorite of the season. They were very different episodes—very much action vs. characters (not that the action episode lacked character moments or the character episode lacked action). But yeah, I’m giving the slight edge to “The Chosen.” Do you guys agree?